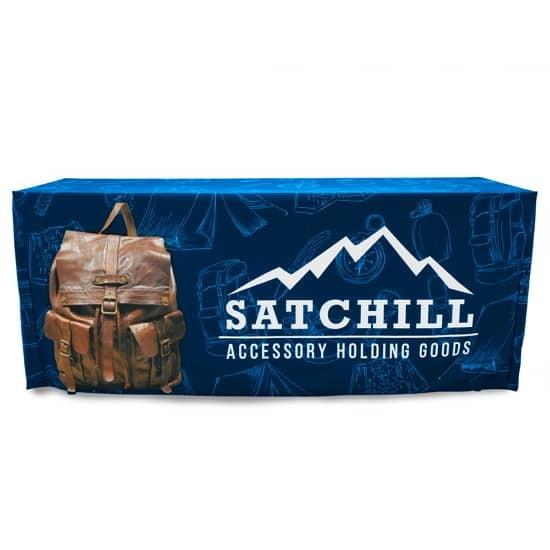 Airborne Visuals offers a complete line of Trade Show Table Covers: Stretch and Fitted covers with full color Dye Sublimation printing, Custom Full Color Print table covers, and Stock Color table covers for 4ft, 6ft, or 8ft Trade Show Table Covers. 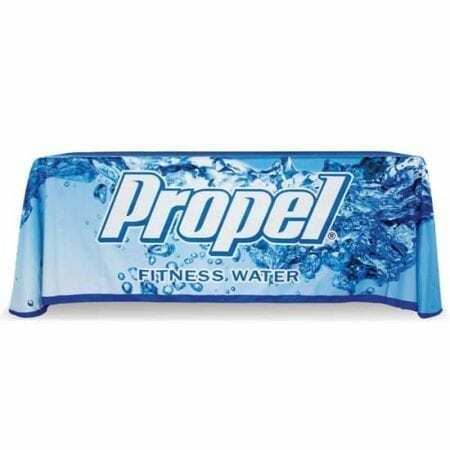 Airborne Visuals also offers full color Dye Sublimation printed Table Runners in 2, 3, 4, and 5ft sizes. 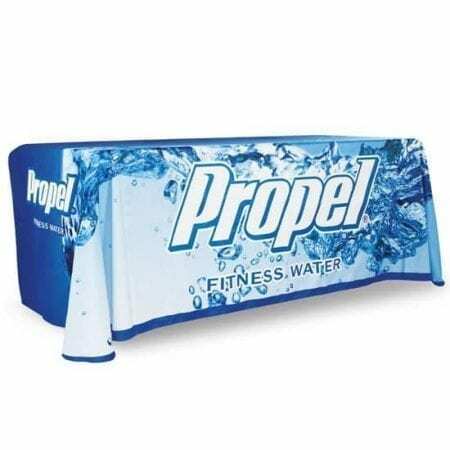 If you need a custom size, ask us about pricing and availability. 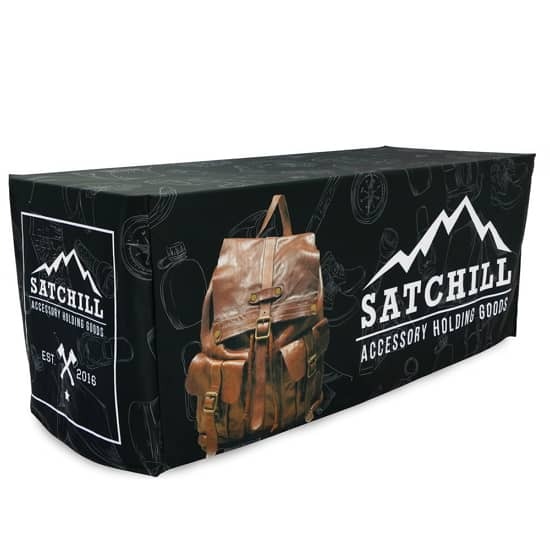 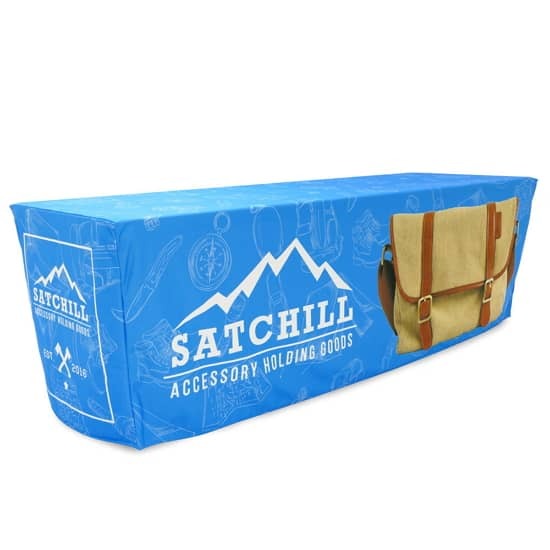 Our New Trade Show Stretch Table Covers fit tapered and taut around the table and secures with a durable rubber foot under each leg. 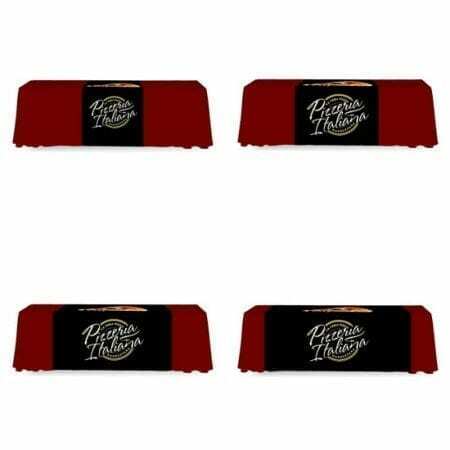 Choose either 4ft, 6ft or 8ft sizes. 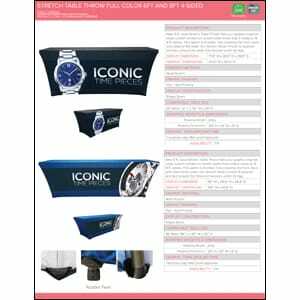 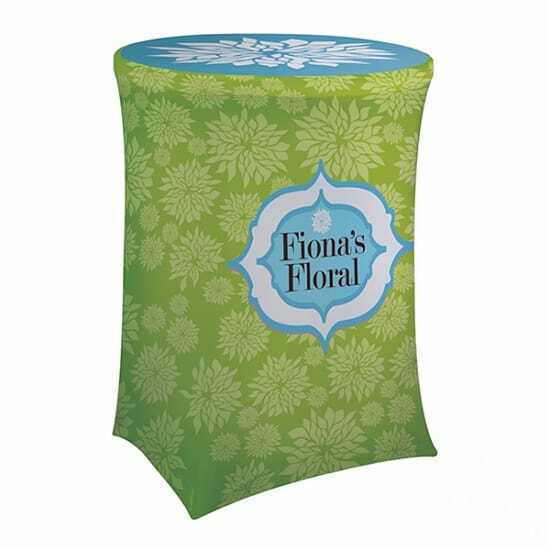 Full color dye sublimation printing is used to create unique custom table skirt to promote your brand or advertising message that can be viewed by any angle. 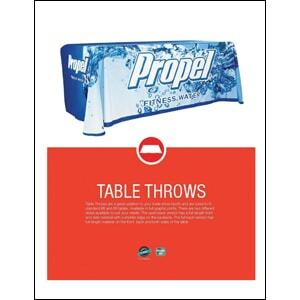 Airborne Visuals offers Custom Table Covers and Runners. 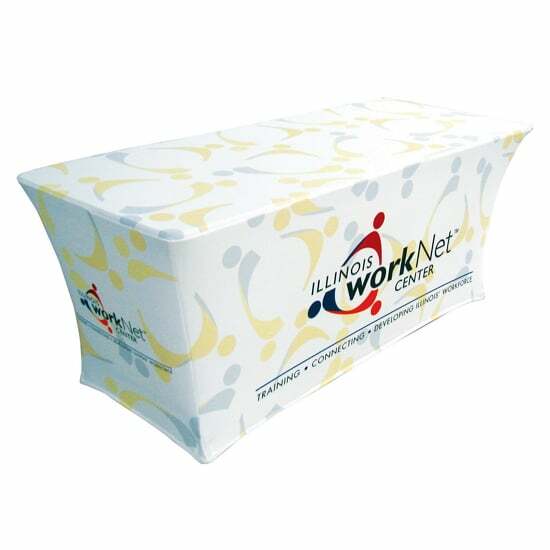 Full color dye sublimation printing is used to create unique custom table skirt to promote your brand or advertising message. 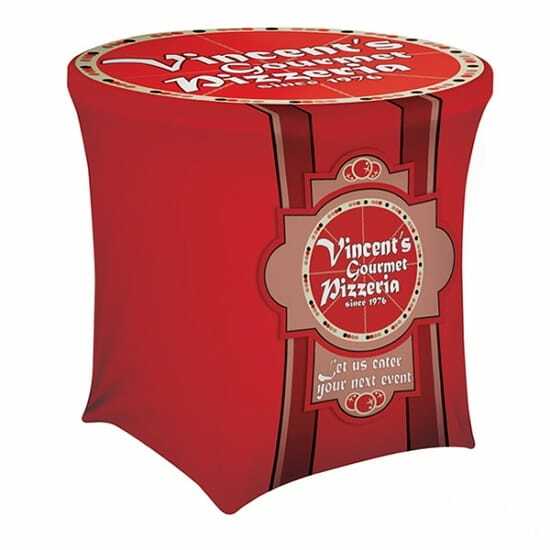 Logo table covers are available in 6ft and 8ft sizes and in 4-sided, full length front, side and back material for an elegant look from every angle, or 3-sided skirt has full length front and side material, with a shorter edge on the back for easy access to under-table storage. 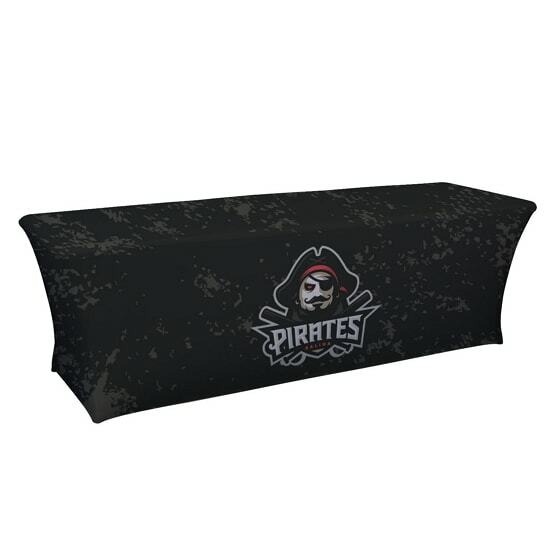 Custom Table Runners are available in 2, 3, 4, and 5ft sizes and in either backless, full length front and shorter backside, or full back, full length front and back. 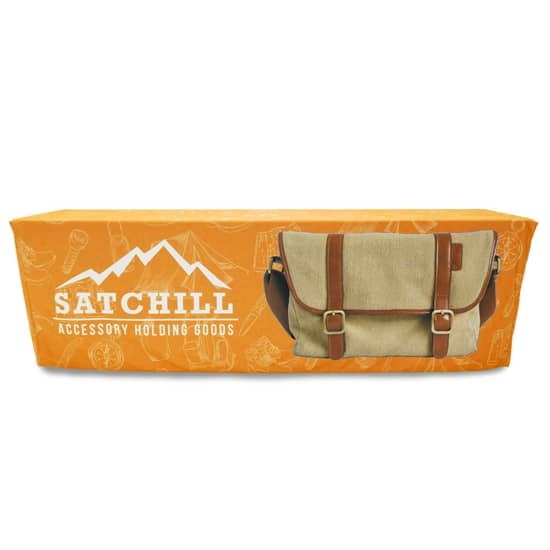 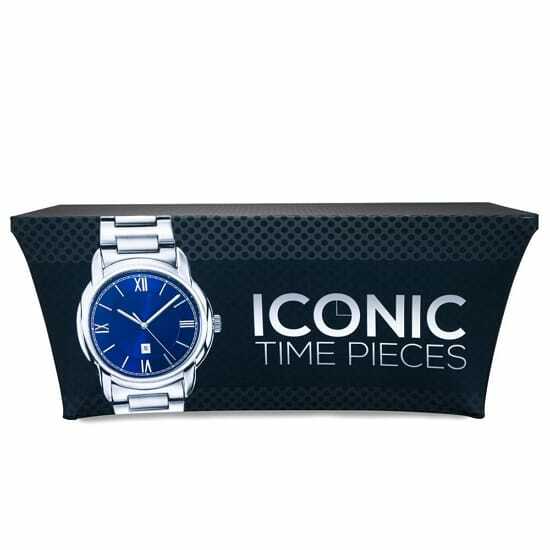 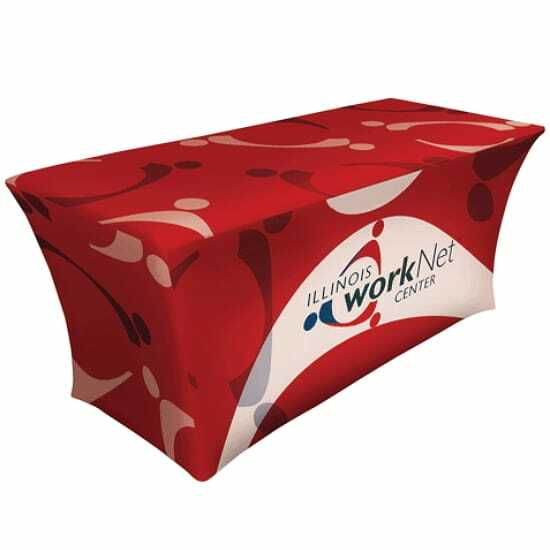 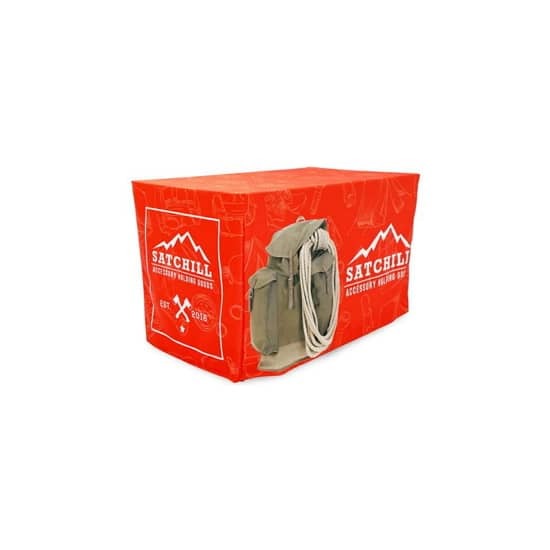 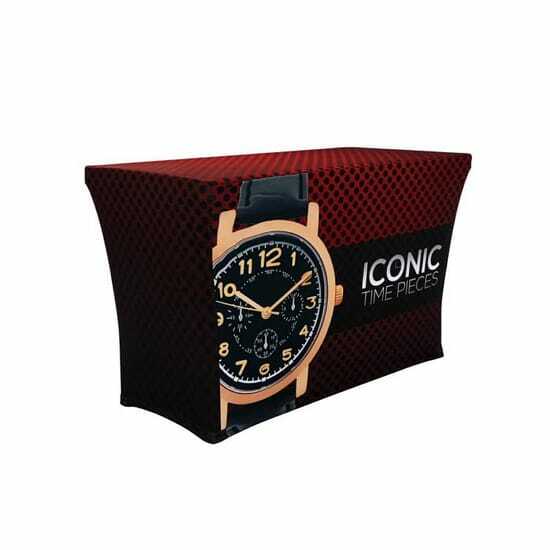 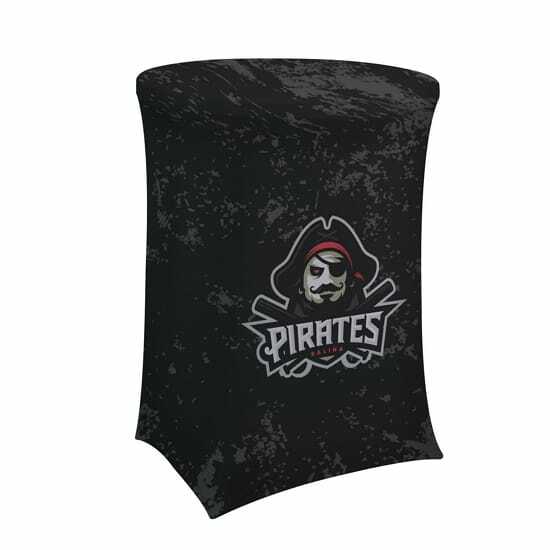 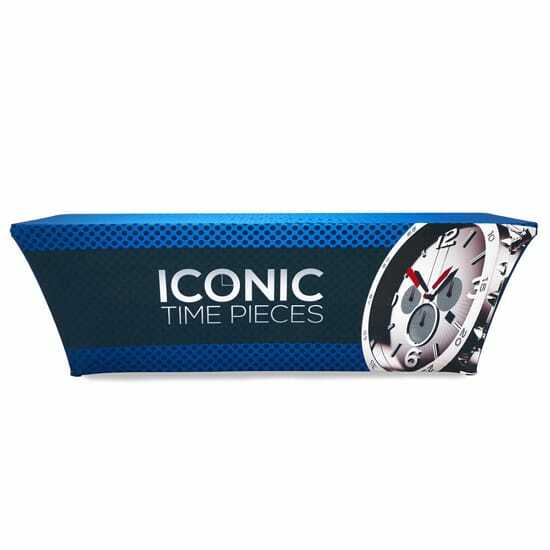 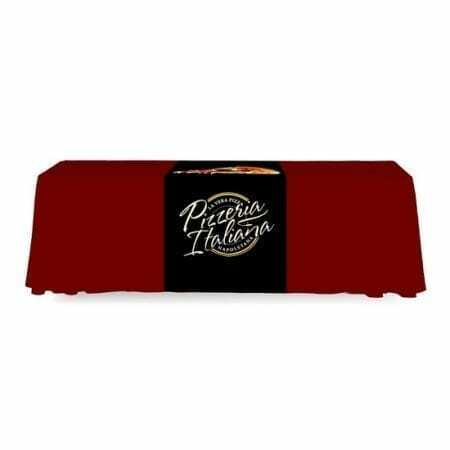 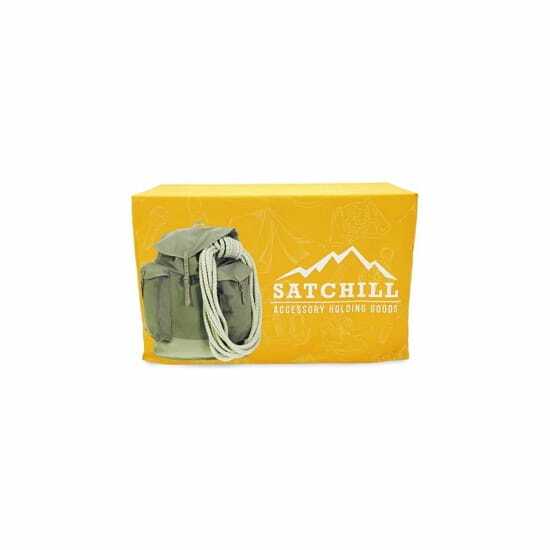 Our most popular fabric table covers are available in 7 stock colors, and can be imprinted with your logo or message in your choice of 1 or 2 colors from 7 vinyl imprint colors. 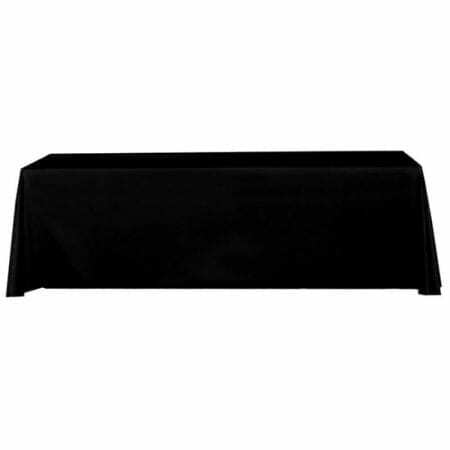 Choose from a 6ft or 8ft table cover that fits standard size tables. 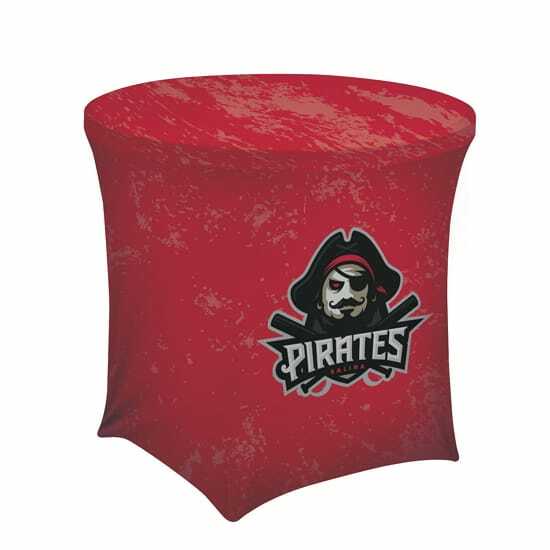 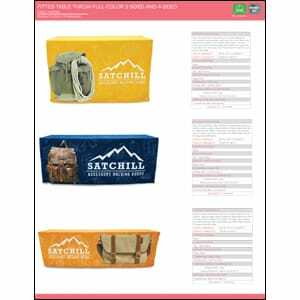 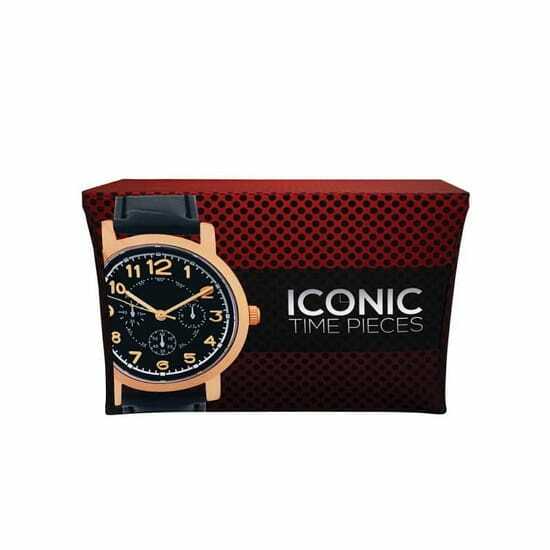 And available in 3-sided, fully covers front and sides with back left open, or 4-sided, fully covering, front, back and sides. 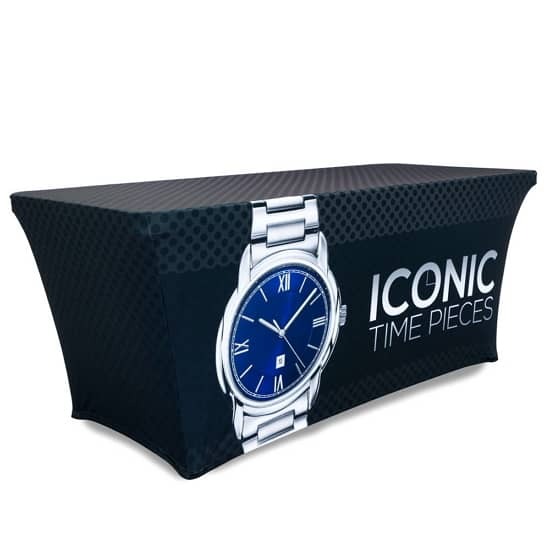 New Trade Show Fitted Table Cover! 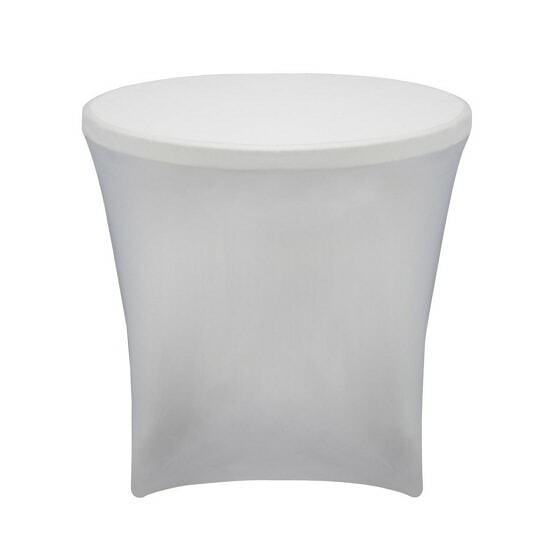 Available in 4, 6, and 8ft sizes. 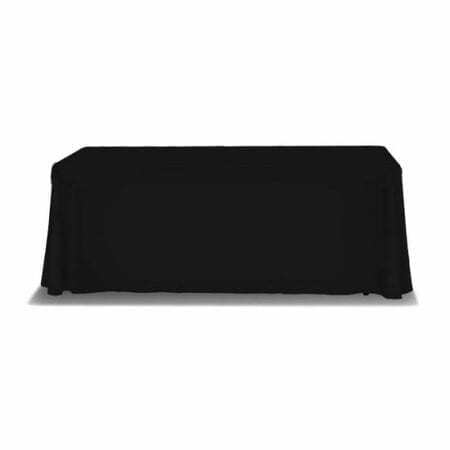 Our Fitted Table Throws fit snug around the table. 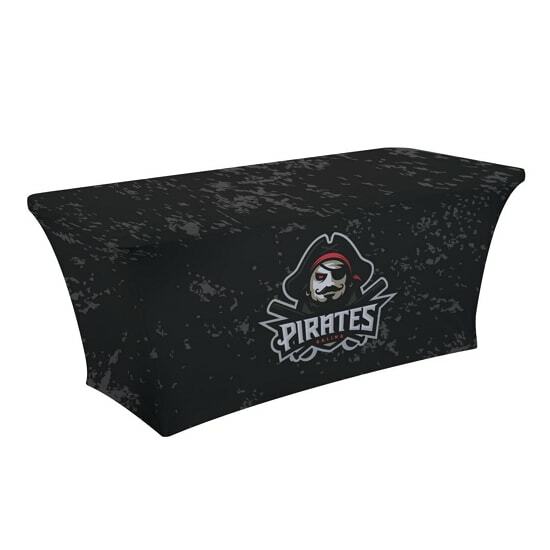 Get your graphic edge-to-edge custom printed on fitted table throw that is made to fit 4, 6, and 8 ft. tables. 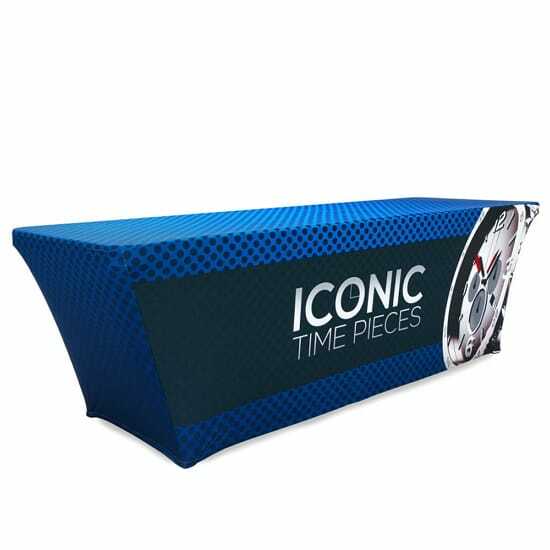 Choose either 3-sided, fully covers front and sides and back left open for easy access to under-table storage, or 4-sided, fully covering the front, back and sides for an elegant look from any angle.